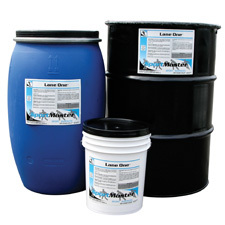 Lane One is a trowel grade Acrylic patching material fortified with sand and rubber particles. Lane One is designed for filling cracks and smoothing rough areas up to 1/8” depth on rubberized asphalt running tracks. Approximately 4 gallons per square yard at 1” depth. A trowel grade acrylic patching material fortified with sand and rubber particles. For minor repair of rubberized asphalt running tracks. Track surface shall be cleaned entirely of dust, dirt, debris and all loose material. New asphalt track surface must cure 30 days before application. For patching and crackfilling use Lane One as is without dilution. For use with a squeegee over large areas Lane One may be diluted with water for workability. Apply Lane One with a trowel, straight edge, or squeegee. For depressions greater than 1/8”, Lane One shall be applied in multiple lifts not to exceed 1” total depth. View in Catalog 5 gal. Pail 51 lbs. 30 gal. Keg 305 lbs. 55 gal. Drum 545 lbs.